Plantar fasciitis is inflammation of the plantar fascia in the foot, causing pain in the heel area. 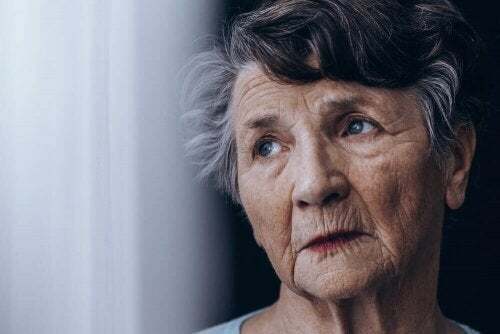 Learn more about this condition in this article. Plantar fasciitis is inflammation of the plantar fascia of the foot, a ligament that joins the heel bone with the proximal phalanges and extends and contracts with each step, like a rubber band. The plantar fascia is a very wide, thick tissue due to the huge amount of pressure and resistance it must support. 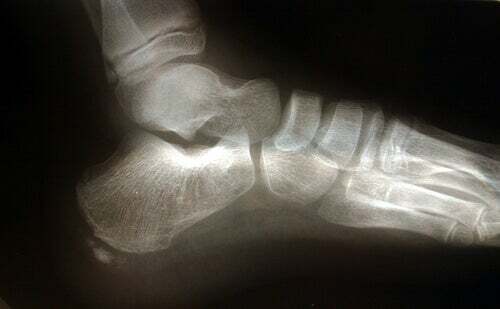 Inflammation of this ligament presents with pain in the heel area, one of the most common causes of pain in this area. People at higher risk of this issue are athletes, especially amateurs. However, it can happen to anyone. Therefore, it’s important to know more about its symptoms, causes and treatment. Keep reading to find out! What does the condition look like? Overuse of the plantar fascia ends up causing micro-traumas to the tissue. Repeated tiny tears lead to inflammation in the ligament, which causes heel pain. In other words, it’s a chronic issue, as it doesn’t appear overnight but rather as a result of repeated injuries. Using your feet muscles too much, in the wrong way, can cause too much stress on them and lead to this condition. At first, you might not notice it, but after a while, the pain will make you realize that something’s wrong. Injury of the fascia can happen for many different reasons; it has many variable factors including environmental, postural, and genetic. Also, there are factors that can make things worse, like using improper footwear, bad posture, overuse of the area, tightness in related muscles, and overpronation. Excessive exercise is the main cause of plantar fasciitis. Physical activity like running or jumping for long periods of time overload the ligament, unable to take so much wear and tear. Also, changes in exercise plans without doing them gradually can cause more severe tears and thus worse pain. Runners, soccer players, and people who play badminton or tennis are most at risk. Also, dancers and gymnast can also suffer from it if they train a lot. There are several anatomical structures that play a role in any overloading of the plantar fascia. The Achilles tendon is a ligament that connects the gastrocnemius muscles, commonly known as the calves, and the soleus muscles, to the heel bone. A retraction of the Achilles tendon triggers an increase in pressure on the heel bone, with the resultant increase of pressure on the plantar fascia. This means that not stretching your Achilles can lead to plantar fasciitis since it puts too much pressure on your foot. Another factor to keep in mind in the anatomical structure is the foot strike, or in other words, how the foot touches the ground. For instance, flat feet or feet with a tendency to overpronate stretch the plantar fascia more, thus increasing the risk of tearing due to the extra pressure on the tissue. In addition, arthritis and diabetes are considered risk factors for plantar fasciitis, as both may cause inflammation of the tendons. People of advanced age tend to present with this pain as a result of one of these two conditions. Therefore, if you are suffering from any of these conditions, always let your doctor know. Your treatment will depend strongly on whether the condition is a result of another illness. Often times, people wear shoes that don’t fit right. Or, the sole doesn’t support the foot or the shoe doesn’t distribute the weight evenly. Constant use these shoes leads to swelling of the plantar fascia. Therefore, high heels are a big no-no when it comes to plantar fasciitis. 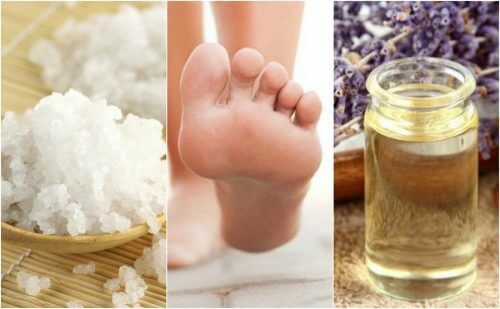 The pain tends to increase in the mornings because the foot is kept rigid overnight, and decreases over the course of the day as it stretches and the tissue warms up. In some cases the pain becomes unbearable and even affects the bones, making it very painful to move the toes. Plantar fasciitis is often associated with the existence of a bone spur, though it is not a determining factor. When the plantar fascia is lengthened over time or is not treated correctly, the person may see changes in their walk. Consequently, this might lead to problems and pain in the knees, back, or neck. During treatment, resting from exercise is key. Working out might make matter worse. However, stretching the feet muscles should be done throughout the day. This is true because tightness in the are will make recovery take longer. Last resort treatments include shockwave therapy and surgery, the latter being only for serious, chronic plantar fasciitis. Recovery time varies among patients. Finally, if you have any of these symptoms, talk to your doctor to determine the best treatment for you.